In keeping with the holiday spirit, Argos Online is currently selling the Wi-Fi edition of the Samsung Galaxy Tab 3 10.1-inch for £279 (approximately $457) — that’s a pretty impressive saving of £50.99 ($83.55). This deal will expire Saturday, December 28, 2013, so you will have to be quick in order to take full advantage of this promotion. 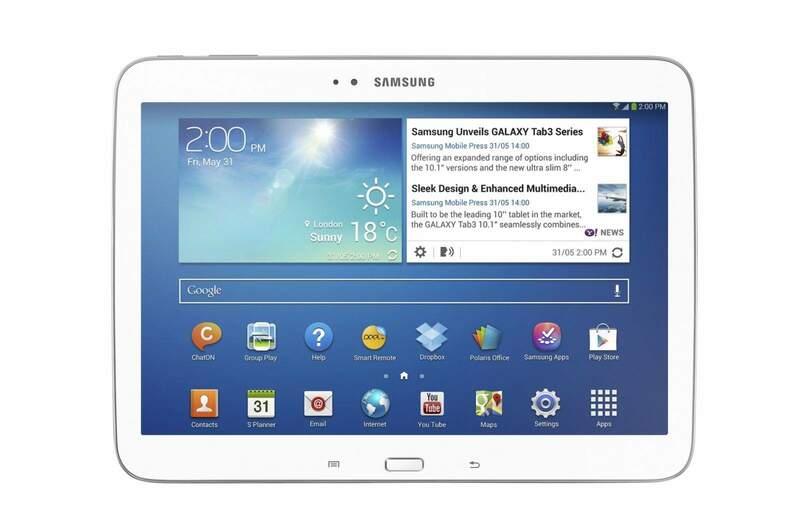 The Galaxy Tab 3 10.1 is an impressive high-end Android tablet, which packs a 10.1-inch TFT capacitive touchscreen with a resolution of 1280 x 800 pixels, an Intel Atom Z2560 chipset powered by two 1.6GHz CPU’s, a PowerVR SGX544MP2 GPU, 1GB of DDR3 RAM, 16GB of internal storage (expandable up to 64GB via microSD), a 3.15-megapixel rear-facing camera and a very hefty 6,800 mAh non-removable Li-Po battery. The slate also ships running the latest build of Android 4.2.2 Jelly Bean skinned with Samsung’s TouchWiz user interface plastered over the top. However, it’s expected to receive the much-anticipated Android 4.3 update in the not-too-distant future. No coupons or codes are necessary for this promotion. All you have to do is visit Argos’ user-friendly website and purchase your Galaxy Tab 3 10.1, then at checkout £50.99 will be deducted from the usual price of £329 leaving £279. If you like the sound of the Samsung Galaxy Tab 3 10.0 and want to pick one up — click the source link below. The post Argos Online Selling The Samsung Galaxy Tab 3 10.1 For £279 appeared first on Cult of Android.